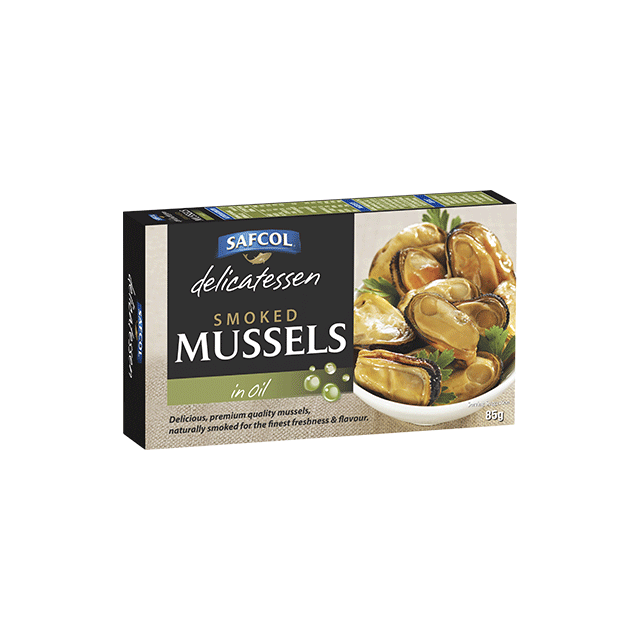 Safcol Smoked Mussels in Oil are delicious, premium quality mussels naturally smoked for the finest freshness & flavour. Safcol Smoked Mussels are perfect to serve as an appetiser. Ingredients Naturally Smoked Mussels (75%), Sunflower Oil (24%), Salt.